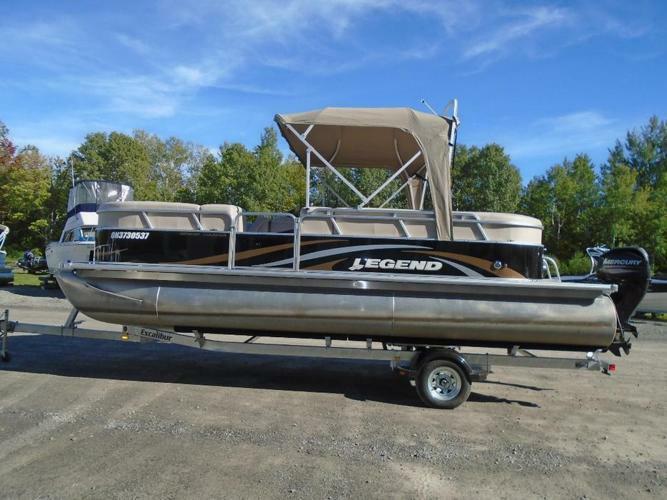 This gently used pontoon boat is a great entry level boat. It comes with bench seating, sink and cold water, bimini top with a day enclosure, full tonneau cover , a stereo, a ladder, depth finder, a battery and carpets. This boat is powered by a Mercury 60 hp motor. The boat is sitting on a Excalibur trailer.